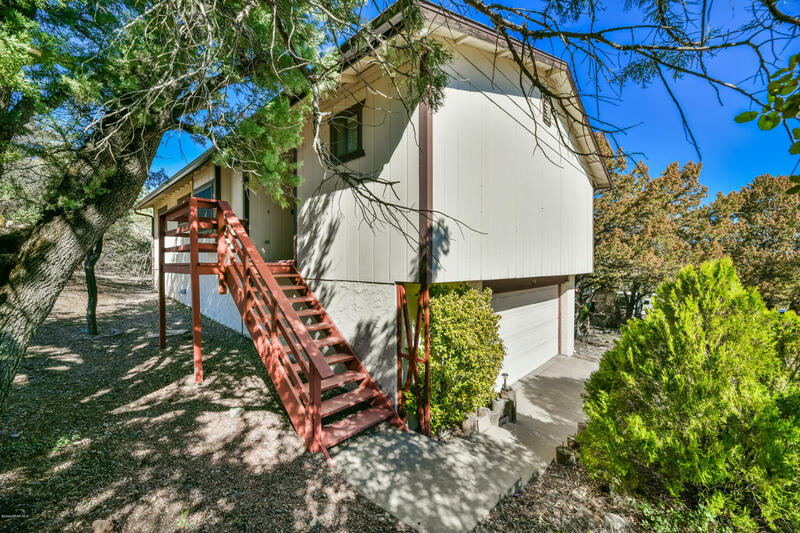 All Evergreen Hills homes currently listed for sale in Prescott as of 04/22/2019 are shown below. You can change the search criteria at any time by pressing the 'Change Search' button below. "FRESHLY PAINTED, CARPETS CLEANED, PLANK FLOORING AND READY TO GO! GREAT LOCATION, CUL-DE-SAC, LARGE LOT, 3 BEDROOMS UPSTAIRS WITH CUTE KITCHEN, DINING ROOM AREA AND LIVING ROOM WITH GORGEOUS BRICK FIREPLACE. DOWNSTAIRS IS A FAMILY ROOM OR COULD BE A GUEST SUITE, HALF BATH, LAUNDRY ROOM AND WORKSHOP OFF THE GARAGE. LOTS OF OPTIONS WITH THE DOWNSTAIRS SPACE. 2 CAR OVER-SIZED GARAGE. THIS ONE IS A LITTLE GEM."